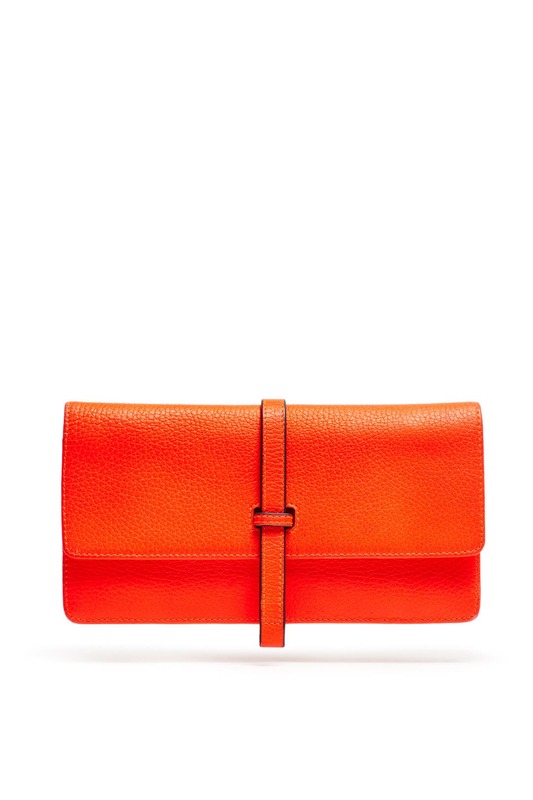 Whether it’s jeans and a tee or a sleek gown, this bold clutch by Annabel Ingall will punch up any look you pair it with. 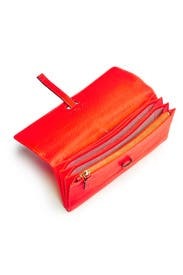 Tangerine leather wallet clutch with expandable gusset. Over 10 internal card slots and internal zipper compartment. 9" x 5". This is a great clutch. Plenty of room. I carried around keys, a lip crayon, lip gloss, mascara, cards, and my phone. I was almost able to fit a pack of cigarettes in there, too (my hubby smokes). There is no zipper, which makes it pretty flexible for cramming stuff in there :) but, the closure still kept everything in. I paired this with a Sarah Magid cuff. 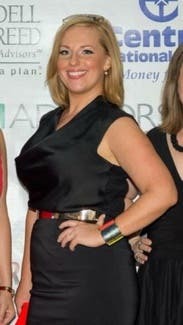 The cuff, combined with the purse, added great color to my all black outfit. 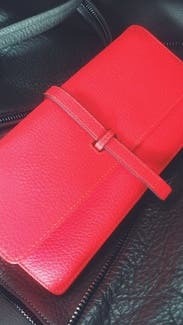 The color of the clutch is VERY bright -- almost neon (you can see the edge of it in my right hand). Loved this clutch. Got many compliments. Color is very bright and cheery! Leather was beautiful. Did have an event. Just rented it for fun!! After my phone no longer fit into my kate spade wristlet, I upgraded to this clutch. It's perfect. While the color is very bright (read: nearly neon orange), I absolutely love this item. I purchased this in a clearance sale and it was a great decision as it fits everything I need to carry and it's a fun accessory. Fun color; lots of compartments. brighter in color then I thought. More of a neon orange color. Still super cute!